Our upvc Bi folding windows offer the best unrestricted view any window on the market can offer, suited to traditional and contemporary building alike these windows will allow you to fully open one side of a room and in the summer months when the weather is nice allows you to bring more air into your property and opens up the room to the outside. This window offers superb energy efficiency and can be made with up to 4 panels depending on the size of the aperture. 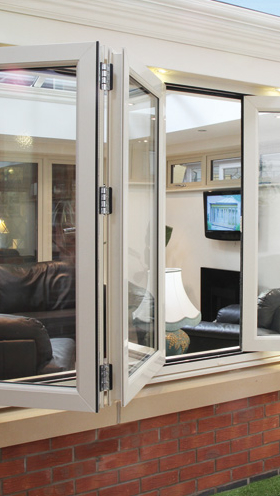 For a no obligation quote for our bi folding windows, call our friendly team today.